Jane is a patient who developed facial paralysis after having surgery to remove an acoustic neuroma in 2010. Her operating surgeon told her that she needed to be patient and she would eventually get movement back. “Wait 6 weeks, nothing, wait 3 months, nothing, wait 6 months nothing” said Jane. She was so nervous, but had been given Dr. Azizzadeh’s contact information and finally decided to schedule a consultation. “I was a ball of tears when I called his office” Jane recalled. She remembers that her first contact with Dr. Azizzadeh’s office gave her hope that there were options to treat her paralysis. After meeting with Dr. Azizzadeh for the first time she felt confident that he could help her and that he had her best interests at heart. At the time, Dr. Azizzadeh recommended not rushing into surgery, and giving her face plenty of time to get a natural recovery. This is a crucial component when treating facial paralysis to ensure that surgery doesn’t alter the body’s ability to heal on its own. After waiting a full year, with no results, Jane and Dr. Azizzadeh both knew it was time to consider an operation. 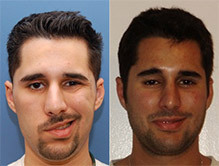 Dr. Azizzadeh suggested a procedure called a Cross Face Nerve Graft along with a Masseteric Facial Nerve Graft. 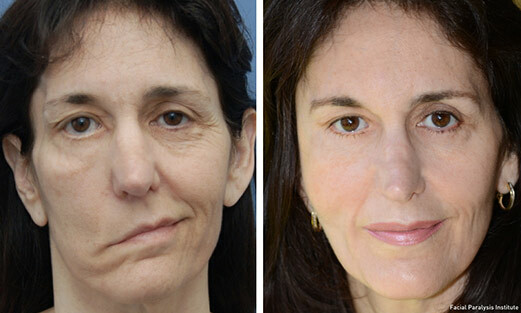 This type of surgery is usually recommended for patients with long-term facial paralysis in which the native facial muscles are not functional. 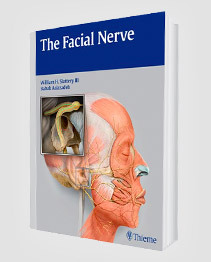 The cross face nerve graft results in the restoration of natural and spontaneous facial movement while the masseteric facial nerve graft allows patients to get facial tone and smile with biting down. Jane’s surgery happened in two stages that were timed one year apart. In the first stage, Dr. Azizzadeh harvested Jane’s sural nerve which is found in the lower leg, and attached it to the functioning facial nerve and also performed the masseteric facial nerve graft. Throughout the year between procedures, the implanted sural nerve grew and eventually reached the paralyzed side of her face. 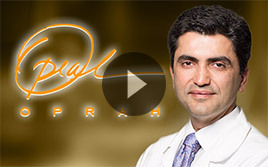 When it was time for the second stage of the surgery, Dr. Azizzadeh harvested Jane’s gracillis muscle flap from the inside of her thigh and attached it to the sural nerve from the first stage as well as to arteries and veins in the neck. “If you could see my before and now after pictures of the transformation in my appearance you would be amazed” said Jane. Both of her procedures went smoothly and she received an absolutely fantastic result. 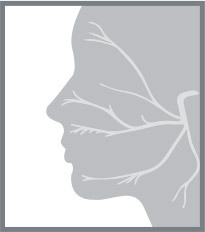 Jane stills see’s Dr. Azizzadeh for regular Botox appointments that help with her synkinesis. “ I was emotionally devastated by my facial paralysis, Dr. Azizzadeh greatly improved my appearance, my self-esteem and self-confidence. I owe him a life time of gratitude” said Jane. If you or a loved one has been affected by facial paralysis, call The Facial Paralysis Institute to schedule a consultation with world renowned surgeon Dr. Babak Azizzadeh (310) 657-2203.